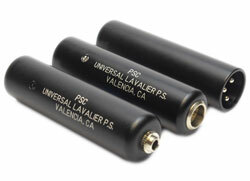 *Note* These are compatible with Lectrosonics 3-Wire Servo wiring ONLY! They will only work with “3-wire Servo” wired microphones such as COS-11’s and Sennheiser MKE-2 wired for use with Lectro 400A, SMA, etc. They will not work with Non-Servo wired microphones.